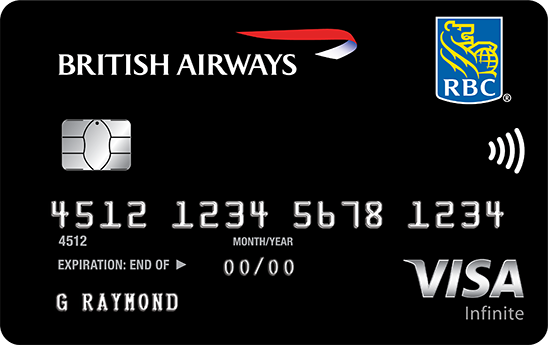 Your complete guide to the British Airways Avios rewards program from a Canadian perspective. Despite the name and the affiliation with the United Kingdom's national airline, it's very easy to earn British Airways Avios here in Canada. The program is well-known for being one of the few that offer redemptions based on distances, rather than regions, making it quite a unique program to participate in. Just so we're clear, British Airways Executive Club is the proper name of the frequent flyer program, while Avios is the name of the points currencies (so you'd redeem, say, 10,000 Avios for a reward). To make matters more confusing, Avios is also the name of a shopping loyalty program over in the UK, similar to Aeroplan or Air Miles here in Canada. But in general, everyone will know what you're talking about if you call it British Airways Avios, so that's what we'll go with. The fastest way to earn Avios is to earn Amex MR points and transfer them to Avios at a 1:1 ratio. There are many credit cards that allow you to earn a healthy balance of MR points in a short time, making this the most straightforward way to amass Avios points. 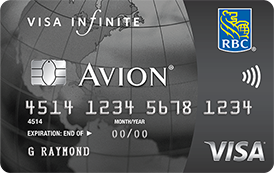 In addition, the RBC Rewards program (also known as Avion) is another transfer partner, and you can transfer Avion points over at a 1:1 ratio as well. Note that there are often transfer promotions in which you get an extra 30% or 50% in Avios as a bonus. RBC also has a British Airways-affiliated credit card which currently offers up to 50,000 Avios as a signup bonus; the offer fluctuates from time to time and can be a reasonable way to accumulate extra points. The Marriott Bonvoy program also partners with Avios, meaning that you can convert 60,000 Bonvoy points into 25,000 Avios. However, since there are often better uses of Marriott Bonvoy points out there, this should be treated as a last resort. Lastly, you can earn Avios the traditional way, by flying on Oneworld airlines and other British Airways partners and crediting your miles to your frequent flyer account. Off-peak pricing only applies to British Airways and Iberia flights, on certain periods of the year dictated by those airlines. You can find the latest off-peak pricing calendar here. Keep in mind that British Airways is part of the Oneworld alliance, so you'll be able to redeem on BA flights or with their Oneworld partners. British Airways also has a few non-alliance partners with whom you can redeem flights, such as Aer Lingus and Alaska Airlines. Because the Avios required for a redemption depends on the total mileage flown, connecting flights can often be a detriment! By adding a connection, you might have to pay more miles, since your total flying distance will be higher. For example, say you wanted to fly from Vancouver to Hong Kong on Cathay Pacific in economy class. That's a flight distance of 6,393 miles, which corresponds to 30,000 Avios in the redemption chart above (Zone 7). But if you wanted to do Vancouver to Los Angeles to Hong Kong, with the first segment on American Airlines, that'd be 1,081 miles for YVR–LAX and 7,260 miles for LAX–HKG. You'd be charged 7,500 Avios for the first leg (Zone 2) and 50,000 Avios for the second (Zone 9), for a grand total of 57,500 Avios – a 27,500 Avios premium just for the luxury of stopping in Los Angeles! As you can see, in general, it's best to look for direct flights rather than connections when it comes to Avios redemptions. This is in contrast to a region-based award chart like Aeroplan's, in which connections are often irrelevant to the mileage cost. Do bear in mind that while it's generally the case that adding a connection will increase the Avios cost, there are still exceptions to this rule, which can make for some interesting sweet spots! I may well discuss this further in a future post. For now, take note of one other great thing about Avios. Since flights are essentially priced out one-by-one according to the distance-based reward chart, you can effectively have as many stopovers and open-jaws as you'd like. Think about it, all you're doing in an Avios award ticket is booking one or more one-way flights. The Avios required is then calculated based on the total distance of all flights. That's true whether you're booking a short hop, a round-trip ticket, or a crazy round-the-world flying frenzy – it makes no difference how long you stop in a particular city, since the mileage cost is directly proportional to your distance flown. Well, that's partially true. The mileage cost isn't entirely directly proportional to your distance flown. After all, there wouldn't be any sweet spots if the program worked like this: if your journey covers X miles, you get charged X times Y amount of Avios for economy, X times Z for business, etc. But instead, there's a chart in which the mileage cost is partitioned into "zones" based on total distances. And that means that if your total distance flown is just under the threshold of its "zone", you might have a really good deal on your hands. The "West Coast to Hawaii" sweet spot is one of the best examples. With most region-based programs, flights from Continental North America to Hawaii often cost 40,000 miles for a round-trip flight in economy (though there are a few exceptions). With Avios, on the other hand, many West Coast destinations are connected to Hawaii by direct flights, and the distances are mostly a shade under 3,000 miles, the upper threshold for Zone 4 on the Avios reward chart. So Vancouverites, if you can get yourself down to Bellingham or Seattle, you'll only be redeeming 12,500 Avios for a one-way ticket on Alaska Airlines to get you out to any of the Hawaiian islands. It's important to note that there are a few key exceptions to the chart above. Apparently, some of these amazing-value redemptions became so much of a burden on British Airways that they unilaterally devalued the award chart a few times to "kill" some of the sweet spots. For instance you'll see in the award chart that flights between 0-650 miles in distance cost 4,500 Avios in economy class and 9,000 Avios in business. However, within North America, that mileage cost doesn't apply, and instead it's 7,500 Avios and 15,000 Avios respectively. That's because far too many people had been taking advantage of short hops on American Airlines at the lower mileage cost for it to be sustainable. That all changed in early 2017 when a footnote was applied to the reward chart that explicitly Boston–Dublin and Boston–Shannon in Zone 4. While I can understand why they did this, the fact that there's so many asterisks to the redemption chart does leave a bitter taste in the mouth. If you're booking with two or more Oneworld partner airlines on one itinerary, there's a separate multi-carrier award chart that applies. The chart below shows the Avios cost for economy class, while business class is double and first class is triple. Unlike the regular award chart, this one doesn't work segment-by-segment – you find out the total distance of all your segments combined, then look it up in the chart below. This gives you much more leeway to expand your routing, which can be advantageous especially in premium cabins. Avios is one of those excellent programs that let you pool miles across your household. You're able to set up a Household Account with any other Executive Club member with the same address on their account. That allows anyone in the Household Account to access the Avios that everyone else has earned when making bookings. 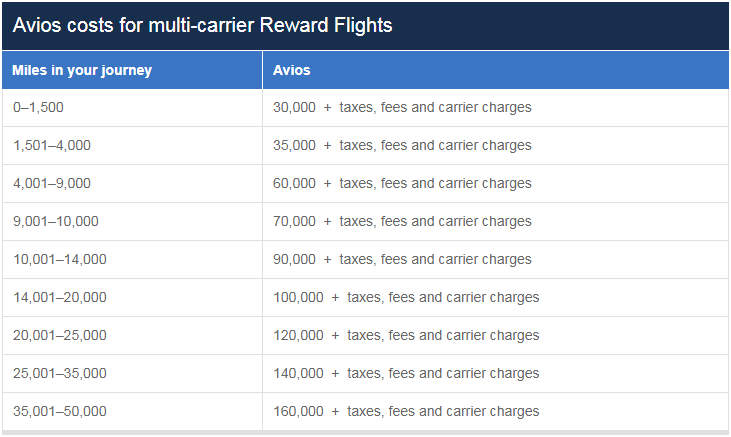 You can redeem Avios for travel on British Airways or any of its partners (Oneworld or otherwise), but you should actively avoid redeeming for British Airways flights (short-haul flights are fair game) due to their insanely hefty fuel surcharges! This is similar to how Aeroplan miles are best spent on non-Air Canada flights. British Airways Avios is a powerful program because it fulfills a need that few other programs serve. As frequent travellers, we often need to get between neighbouring cities quickly and efficiently, and often times buying a ticket with cash outright can be quite expensive for such a short flight. That's where Avios comes in, meeting this need perfectly with its distance-based award chart. The fact that there's some more sweet spots in the award chart, such as the West Coast to Hawaii trick, is just the icing on the cake.